CIVILISED. 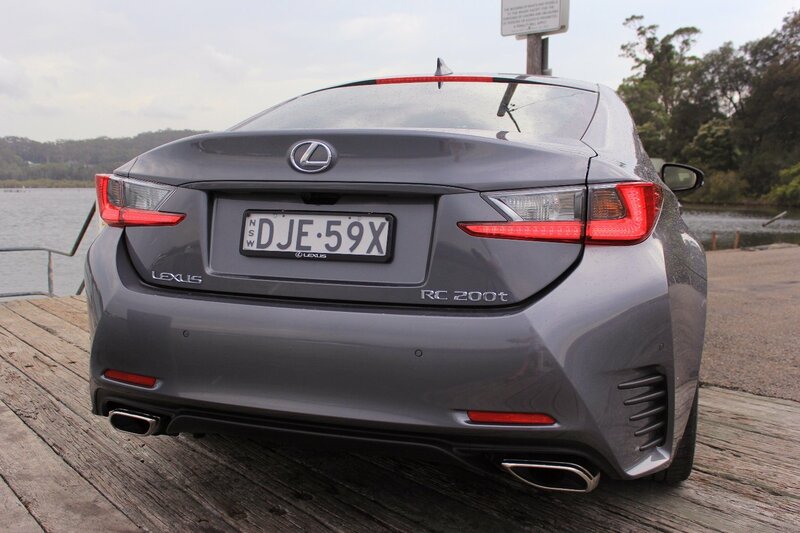 That’s how we’ll describe the 2017 Lexus RC 200t F Sport. 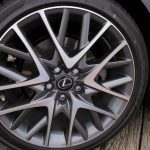 It’s got class and style, while bearing a striking resemblance to the wicked supercar that is the 2017 Lexus RC F, and it’s those design similarities that give this car impact. 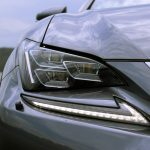 Right from the get-go, the RC 200t looks good, scoring the latest Lexus ‘spindle grille’ and the trendy ‘hawk-eye’ piercing headlights. There’s also lots of aero work to be seen with ducts and crevices, along with the tapering roof line, curved glasshouse, flared wheel arches and nicely styled 19-inch alloy wheels. The RC 200t F Sport also picks up the 17-speaker premium Mark Levinson audio system, LED headlights with auto high beam, Adaptive Variable Suspension (AVS), Sport+ drive mode, the exclusive F Sport TORSEN Limited Slip Rear Differential (LSD), and F Sport suspension tuning. The F Sport also scores some impressive technology inclusions such as heads-up display, pre-collision safety, radar cruise control, adaptive variable suspension, Stop and Start System, blind spot monitor with rear cross-traffic alert and lane departure warning, as well as the Lexus Enform suite of apps (designed to keep you connected to the world). The biggest thing you notice though is it’s not quick (to be honest it’s hard to imagine buyers preferring this meeker version than the beefier models in the RC range). Even with 350Nm of torque, and skipping past Sport drive mode, straight to Sport+ (from a default Normal), and loading up the engine under brakes for a step-off launch, the 2.0-litre turbo four struggles to break the fat 265mm-wide rear Bridgestone Potenza tyres’ traction. While acceleration is hardly leisurely, the power-train works hard to the 1700kg-odd RC 200t, and no amount of sonic trickery from the Acceleration Sound Control – which has skimmed some cream off the top of the LFA supercar’s exhaust note – makes it feel any quicker than its maker’s 7.5 second 0-100km/h claim. In fact, the Acceleration Sound Control is a little annoying. It pumps the cabin with a strange induction noise that leaves much to be desired. It also makes the RC200t F Sport feel a little cheap and try hard. All this aside though, when you consider the car’s genuine purpose, a big vibe coupe in a classic feel-good vein, designed for modestly heeled buyers who care little for head-ripping performance, there’s actually a lot to like. And after a week behind the wheel, we liked the RC 200t more than we expected to. It is after all, rear wheel drive, and there’s a new sequential eight-speed automatic transmission. It’s quirky too, and sometimes it felt like the transmission had a mind of its own, shifting earlier than expected in Eco, Normal and Sports modes. SPORT+ mode bought with it downshift in heavy breaking and good gear positioning, especially through a series of cornering tests. Having the transmission in “manual” mode and utilising the paddle shifts on the steering wheel added to the fun of throwing the big coupe into a tight corner. The gearbox feels like it’s capable of more, but trying to poke the power out of the 2.0 litre was somewhat annoying, with a lot of laziness from the turbo, and when coupled with the odd shifting gearbox, it felt like the RC 200t didn’t trust its own skin. As always, we threw everything at the RC 200t (including high speed runs on a secure private road), tight weaving corners, suburban shopping runs and daily commutes, and despite it’s niggling quirks, it still made for an exciting drive, no matter what you asked of it. 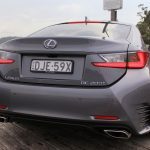 Lexus claims a combined fuel consumption of 7.3l/100kms, but the best the team at Exhaust Notes Australia could manage was a thirsty 11.0l/100kms. Inside, the RC200t comes into its own, with tremendously comfortable and supportive seating, an excellent driving position, and good vision (especially for a coupe). There’s a 423-litre boot and 2+2 seating. 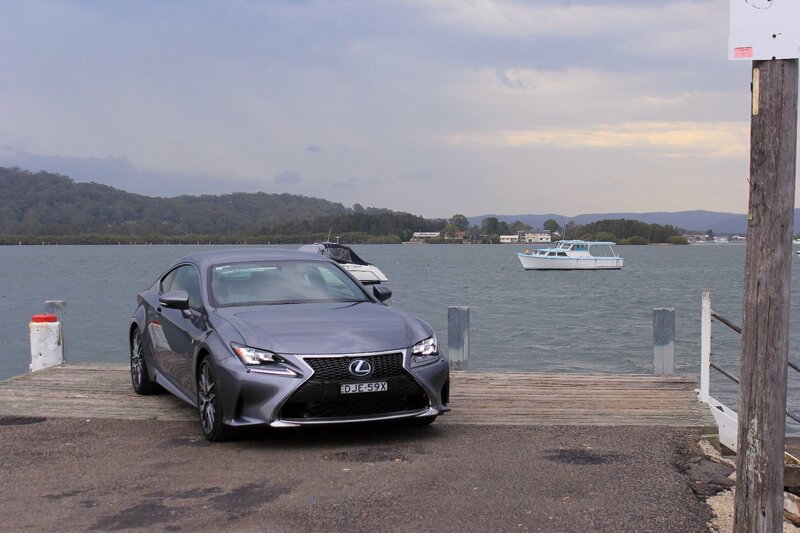 As you might expect in a sports coupe, the back seat is roomy enough for adults on short trips, but you wouldn’t want to subject anyone to it on a regular basis. It’s definitely hard to get in and out of, and headroom is genuinely limited (think of the back seats as a beautifully appointed luxury parcel shelf). Front seat headroom is okay though, but things like the foot-operated park brake seem cumbersome, especially for a Lexus, or any car in this segment really. One thing we did love was the almost anthropomorphic stitching in the seats, designed to mimic human muscles. 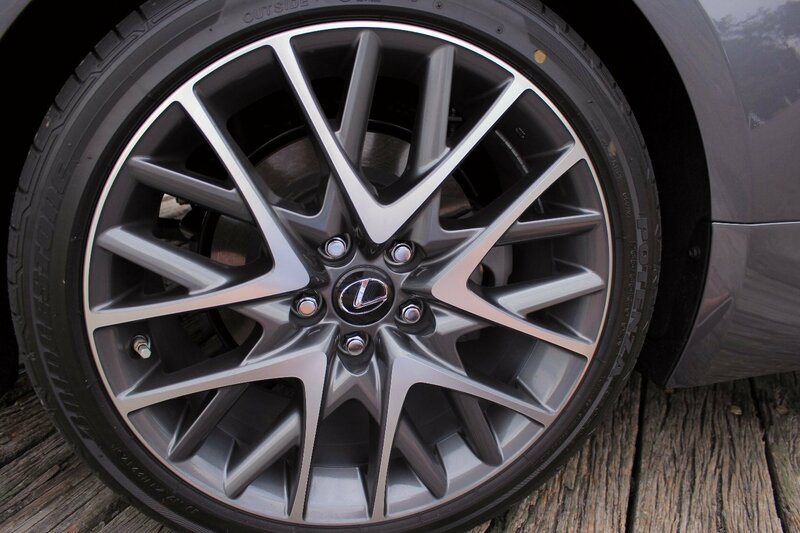 The F Sport seats are exceptional, wide, and supple enough to support a range of body types. Safety inclusions are solid too, with eight standard airbags and stability control. A rear-view camera is standard. The stability control can be dialled down for more entertaining driving. Also available is a forward-collision warning system that’s connected with adaptive cruise control. The same sensors alert on an impending collision; at low speeds, RCs equipped with the system will apply the brakes in an effort to avoid the accident entirely. 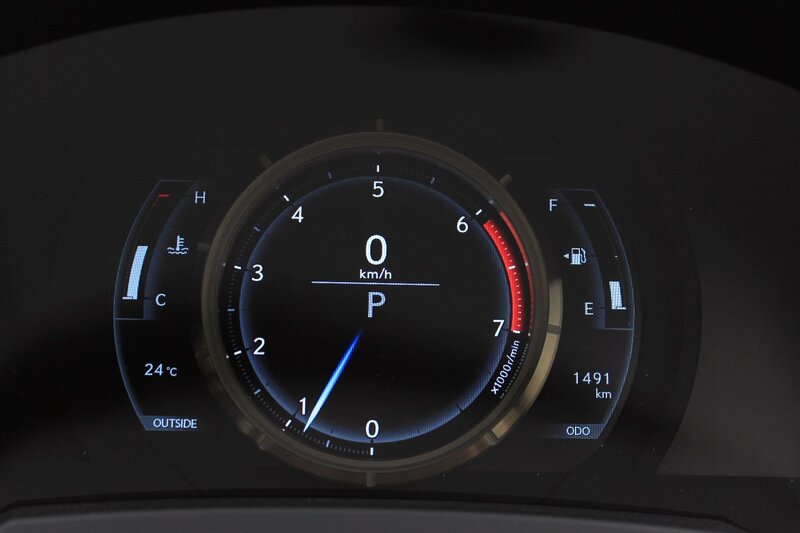 The RC 200t F Sport also scores the LFA-style 8-inch digital instrumentation cluster, which we found to be a cool touch. With a simple push of a steering wheel button, the instrument panel centre’s itself and shows only the basics, with rev counter on the outside, and digital speed display in the centre. 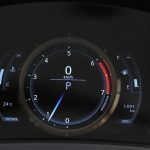 With the instrument panels in a standard configuration, the instrument cluster opens up with additional screens left and right, allowing for easy navigation through the vehicles systems settings, navigation, turbo boost gauge (registering in BAR) and infotainment operation. 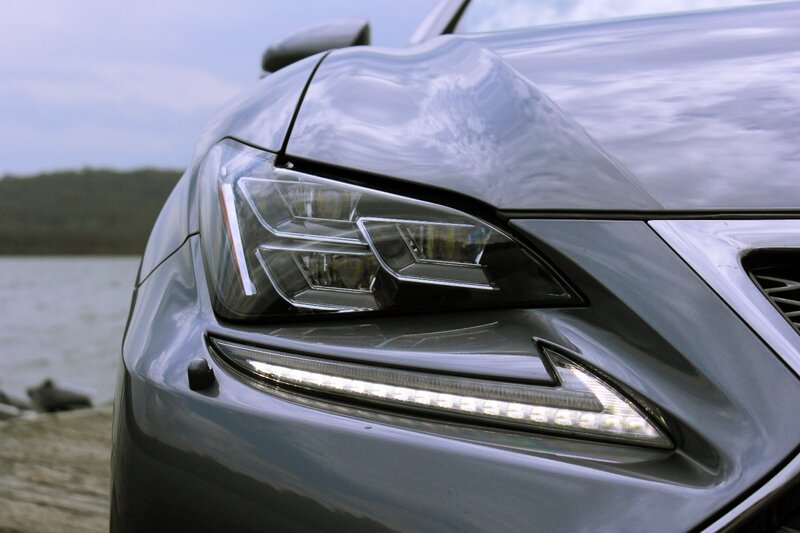 As a performance coupe, the 2017 Lexus RC 200t makes a pretty nice cruiser. It’s stylish, refined, well equipped and very well put together. It’s also certain to appeal to buyers expecting more from their coin, and on that front at least, should sway a few buyers away from the other competitors. Overall, we like the looks, we like the luxury kit, we like the drive (although down on power) and there’s no doubting the value-for-money. 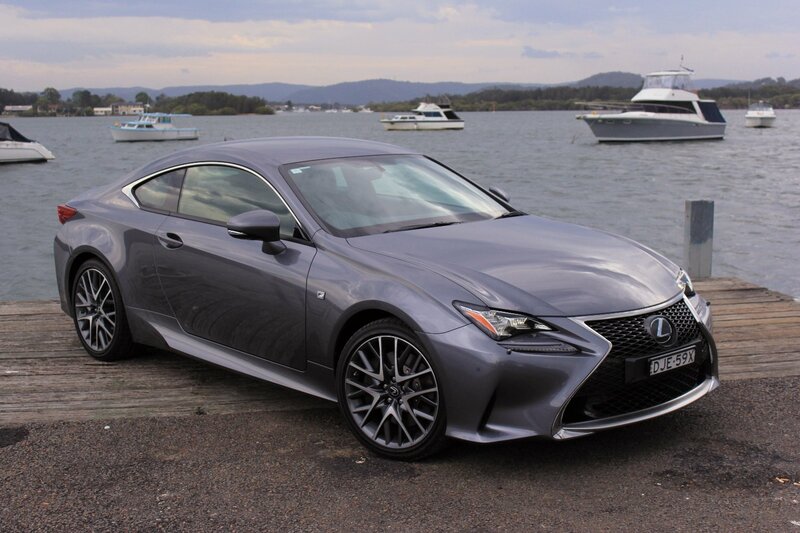 The 2017 Lexus RC 200t F Sport hits the road at just over $83,000 (drive away), and comes in Onyx, White Nova, Mercury Grey (as tested), Premium Silver, Titanium, Graphite Black, Infrared, Lava Mica and Cobalt Mica. Four different interior trim options are available. 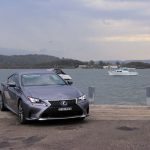 Our 2017 Lexus RC 200t F Sport was provided by Lexus Australia. To find out more about the 2017 Lexus RC 200t F Sport, contact your nearest Lexus dealer. Pros – great road presence; feature packed. Cons – turbo lag; lazy gearbox; snug backseat.